Doctors of Optometry specialize in understanding how the human eye really works, as well as diseases and conditions that affect your vision—many of which do not always have obvious symptoms. Eye doctors know how age and risk factors affect vision over time for young and old, and they understand the benefits and features of corrective lenses. 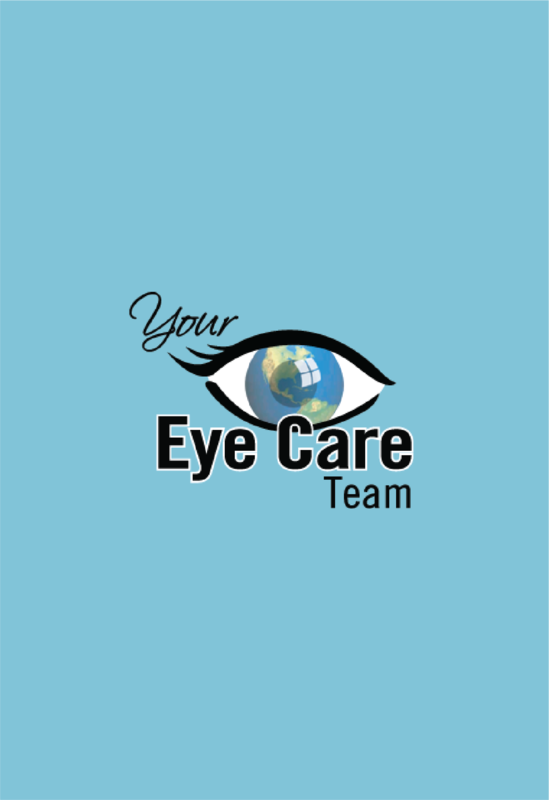 Our optometrists take the time to explain the results of your eye exam, describe your options and listen to your concerns and needs. Because maintaining good eye health is an ongoing partnership, we encourage you to ask questions and share your health information, which could be vital to monitoring, diagnosing and treating potential vision problems. Our optometrists’ primary goal is to help our patients achieve their best possible vision. 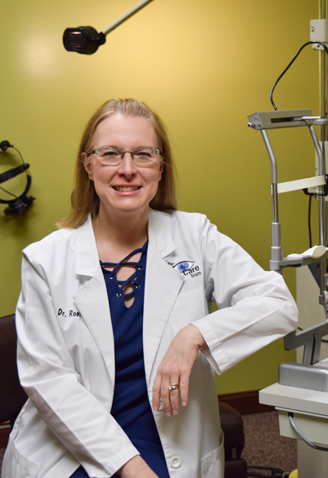 Dr. Roers received her undergraduate degree from UW Madison and attended optometry school at Indiana University, receiving her doctorate with honors in 1992. 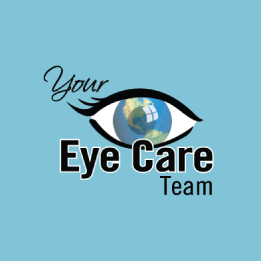 She enjoys all aspects of optometry, especially medical cases, pre and post surgical cases and geriatric optometry. Dr. Roers is married and has two children and a dachshund. She is an avid baker and is well known for her amazing cheesecake. 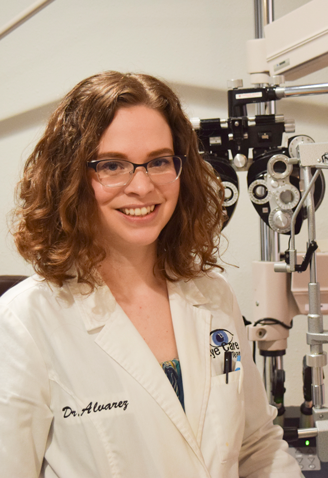 Dr. Alvarez received her bachelor’s degree in biology from University of Wisconsin - Stevens Point and attended optometry school at The Ohio State College of Optometry. Her areas of interest within optometry include treating ocular surface disease and fitting contact lenses. She enjoys spending her free time with her husband and their two dogs, Gambit and Poozer. She also loves knitting, crocheting, and cooking. 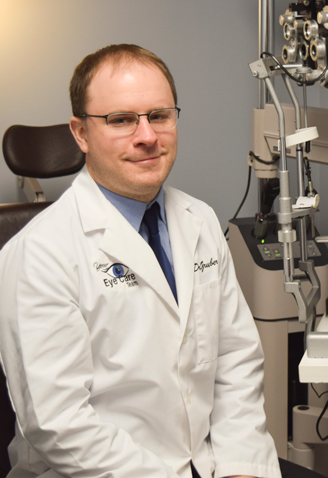 Dr. Gruber, a Chilton native, is a 2001 graduate of Chilton High School who earned his bachelor’s degree at the University of Wisconsin - Oshkosh and his Doctor of Optometry degree at Nova Southeastern University in Fort Lauderdale, Florida. Dr. Gruber has a special interest in contact lenses and ocular disease. Dr. Gruber resides in rural Chilton and enjoys botany, hobby farming and camping. Dr. Freed earned his Doctor of Optometry degree at The Ohio State University. Dr. Freed resides in Grafton and enjoys gardening, fishing, growing mushrooms and spending time at his cottage.